Comments: This is one of the very tall growing bamboos. It is used for screening and other privacy control work as well as for their specimen clumps that provide more aesthetic qualities. 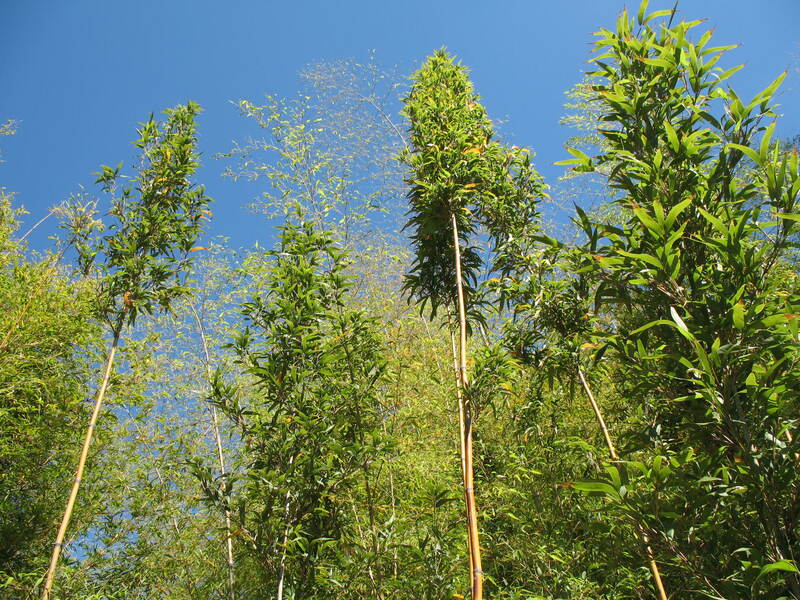 The culms or canes are first green and then turn more of a burgundy color. Containment may be necessary to keep spread in check. The spread of this tember bamboo is not rapid. The sheaths around the canes persist for a considerable period.